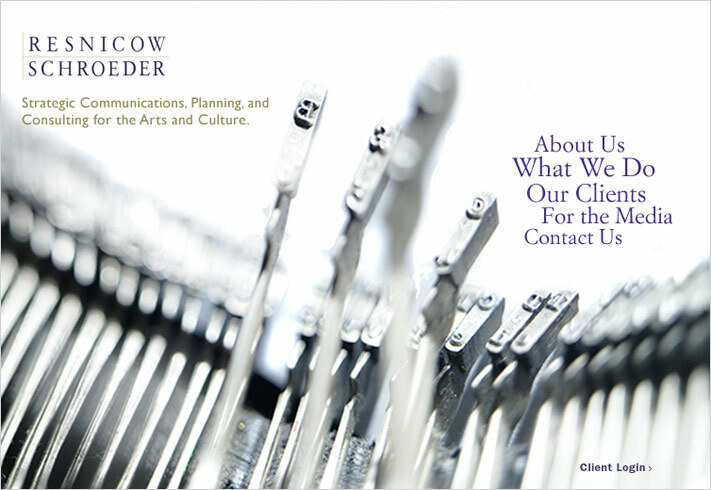 Resnicow Schroeder Associates (RSA) is a New York-based arts marketing firm with a who’s who client list in the arts, culture, and education arenas. 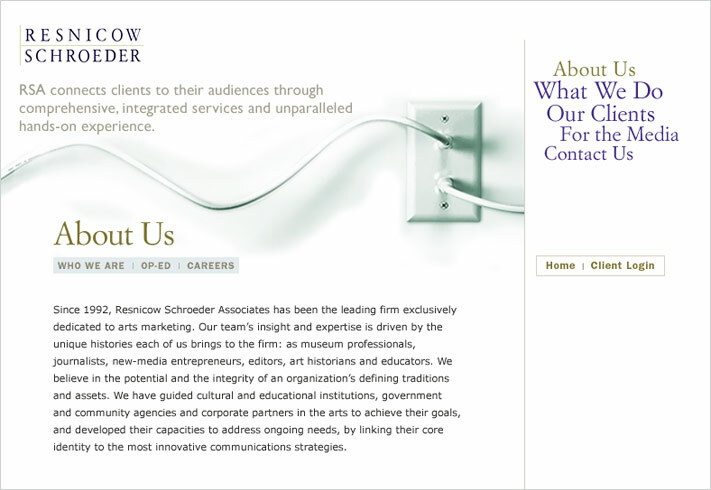 RSA needed to replace its static, dated website with a dynamic, content-rich online presence that would reinforce and extend its reputation as a leading cultural communications agency known for its unparalleled network of relationships and track record of accomplishments. 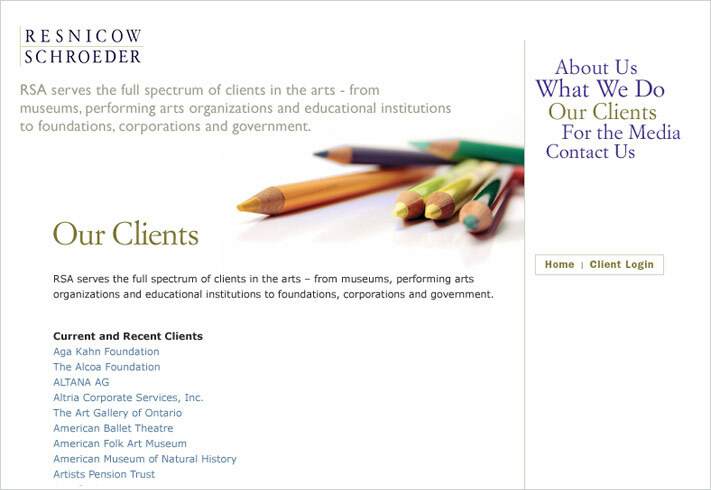 The website needed to appeal to prospective clients as well as serve as an information resource for existing clients and for the press. Cabengo worked with RSA to develop a content strategy and information structure that would make the site more usable and useful to target audiences. 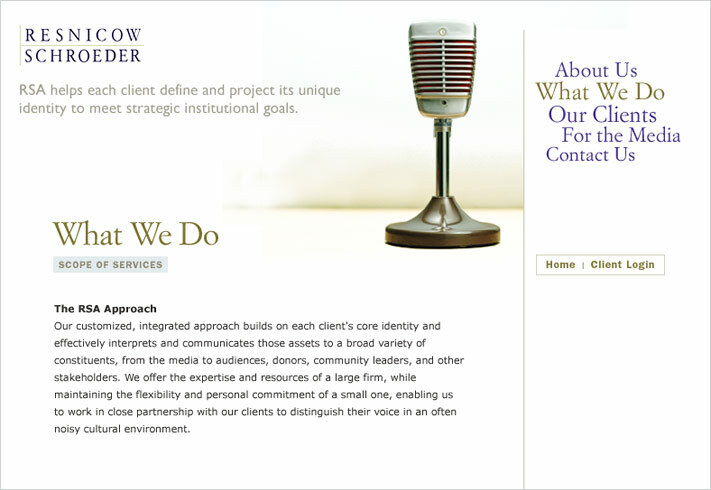 We designed a fresh, integrated look and feel that conveys clarity and quality. To facilitate site maintenance, we build a custom content management tool to enable easy site maintenance by non-technical staff. We built a complex contacts management application to manage RSA’s sizable rolodex; among other features, the application enables advanced multi-criteria searches, broadcast email, and list management. 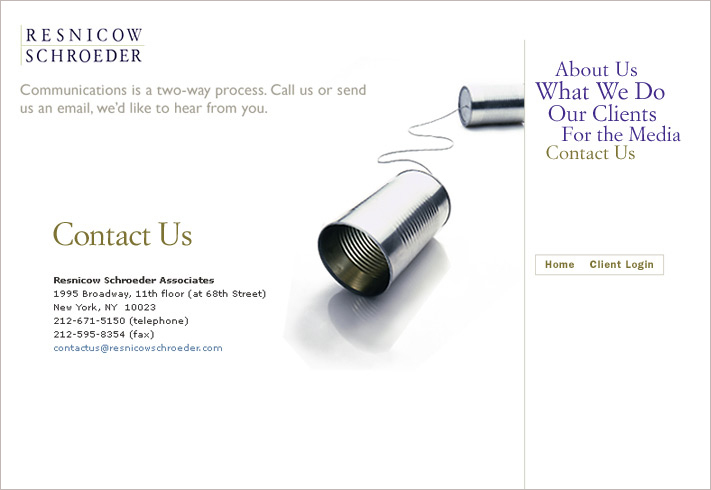 We also built a client extranet to facilitate file sharing with clients.